Forty young leaders at the forefront of global development were honored this week at a first-of-its-kind event in Manila. Hosted by Devex and Chevron, the event recognized 40 professionals under the age of 40 for their role in shaping the development agenda and making an observable development impact. The Manila 40 Under 40 Leaders in International Development come with a diverse background in media, government, nonprofit, business and foreign aid. Raj Kumar, president of Devex, said that while entering the event, he overheard someone call it “the Oscars of development.” The U.S. Academy of Motion Picture Arts and Sciences is giving out its movie awards this week, but, Kumar said, the Manila “40 Under 40” honorees offer something even better. “These young people are more talented, more dedicated and are doing more for the world than anyone who is getting an Oscar this week,” he said. 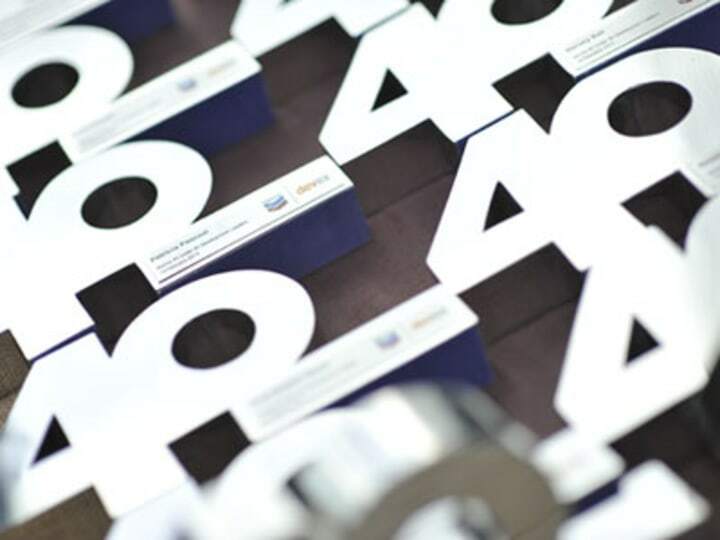 A selection committee chose 40 honorees from among 250 nominees, according to Pete Troilo, director of Devex’s global advisory and analysis operations. Alongside Troilo, the committee included Rafael “Rapa” Lopa, executive director of Philippine Business for Social Progress; John Forbes, a senior advisor to the American Chamber of Commerce of the Philippines; Marites Dañguilan-Vitug, an editor-at-large for social news network Rappler; and Richard Hirsch, chairman of the Philippine firm Applied Planning & Infrastructure. The event was held at a roof garden of the recently completed Zuellig Building, a skyscraper in Manila’s Makati business district. The building was the first in the country to receive a gold-level LEED certification from the U.S. Green Building Council. Miguel Rene Dominguez, governor of Sarangani province in Mindanao and one of the 40 awardees, said that the event would help create a “special bond” among awardees. Awardee Carla May Beriña-Kim, who serves as both the head of sustainable development for Manila Water Co. and the executive director of the Manila Water Foundation, agreed that the competition and event has helped build a sense of community among young leaders in Manila. Earl Martin Valencia, honored for his role as co-founder and president of IdeaSpace, a nonprofit incubator for technology-based social enterprises, said he hoped that the award would help inspire the next generation of Filipino development leaders. Valencia, who previously worked with networking giant Cisco in Silicon Valley, said it took him a number of years to find his own path in global development. Awardee Jeff Tarayao, who has a dual role as chief CSR officer for electrical utility Meralco and president of the One Meralco Foundation, said the award had an “emotional” impact. Join the Devex community and access more in-depth analysis, breaking news and business advice – and a host of other services – on international development, humanitarian aid and global health. As Associate Editor and Content Director for Devex Impact, Andrea creates and manages cutting-edge content on the intersection of business and international development. An experienced multimedia journalist, Andrea served as leadership editor at the Washington Post and spent three years as a foreign correspondent in Eastern Africa reporting for publications including the Boston Globe, Dallas Morning News, and San Francisco Chronicle.